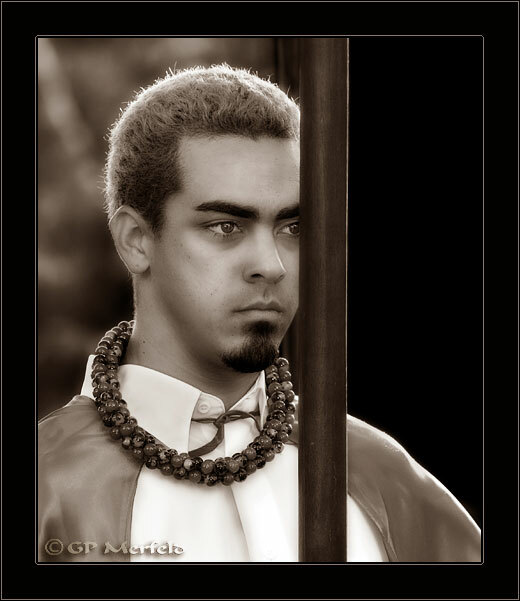 Candid portrait of a young Guard of the Royal Court, holding a ceremonial spear, at a local cultural festival, Kona, Hawai'i. Serious and powerful. Excellent job!